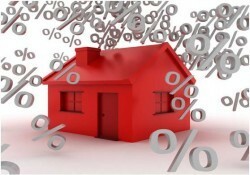 Tenants in common or joint borrowers – an important decision. We are often asked about buying a property with a partner, be them friends or family as an easy way of getting into the property market or expanding a portfolio faster than your could acting alone. However there are traps and technicalities you need to consider. One answer is to buy as tenants-in-common where the ownership can be apportioned according to whatever ratio you desire but typically based on the amount of money/equity each person contributes. The other way to purchase is a joint tenants – more common with husband and wife. The main difference lies in the way the ownership is treated for tax purposes and for disposal. So in the case of joint tenants one person dies the other person automatically inherits their share. Where as with tenants in common the deceased person’s share becomes part of their estate and can be left to another individual/s. Also with tenants in common one owner can sell their share without impacting on the others ownership. It sounds great and in reality it isn’t difficult to achieve as most home lenders are happy to lend with this structure and the legal requirements are minimal but in that lies the risk and downsides. While all parties may start off with similar ambitions and plans, people’s circumstances change and what was easy to get into can become a nightmare to get out of. In both cases all parties are liable to all of the debt (joint and severally liable) but only entitled to their share of the rental income – the repercussions are very significant. Let’s say two sisters decide to purchase a unit as an investment property. It’s unlikely that they are both on the same income and have same deposit and so they may decide to buy as tenants in common with big sister having a 60% share. Both of their names will appear on the title however there can only be one lender involved with one mortgage although most lenders will allow split or shared loan facilities where there are several accounts each with its own limit and repayment schedule. However both sisters have to guarantee the others borrowing in addition to their own – (this would still apply even one sister had saved all the funds and didn’t need a loan – she would still have to guarantee the other). But let’s imagine big sister has a $250,000 home loan account and little sister has a $200,000 home loan account. A year later little sister meets Mr Right and wants to hook up and move into their own house – they apply for a $400,000 loan but get knocked back because little sister already has a $200,000 investment home loan and is also liable for big sister’s $250,000 loan. What’s more she can’t offer the shared property as security because big sister would have to agree with probably another guarantee on a second mortgage. Meanwhile the lenders will only include little sister’s 40% share of the rental income when calculating her borrowing capacity. Suddenly little sister needs to sell but big sister for whatever reason doesn’t agree #%*$@#! of course as tenants in common little sister can sell her share but who to? The scary answer is ‘anyone’ and unless there is a co-ownership agreement restricting this then there is nothing big sister can do about it. The new co-owner is entitled to physical possession of the whole property, what happens to the tenant? Things can get much worse where for example one of the borrowers becomes unemployed or heads overseas and can’t or won’t make their repayments – if it falls into arrears most lenders will impose a penalty interest surcharge ( typically 2%) on all the loans meanwhile the other borrower must make the payments for her, or risk losing the property on default. Imagine how complicated this can become when one of your tenants in common is only an acquaintance or possibly someone you have never met ( remember either party can sell their share to anyone ). It is vitally important that a tenants in common agreement and a co-ownership agreement is put in place prior to the purchase and that all conceivable contingencies are covered. The agreement can state every one’s responsibilities but it may not protect you if one of the parties sells their interest. One very useful use of tenants in common over joint tenants is for married couples where one or both parties have children from a previous relationship. In a joint situation if Fred dies Muriel inherits everything and when she dies her estate (children etc) gets everything leaving Fred’s children with nothing. Another useful consideration is where a couple want a parent to become guarantor as the parent’s interest can be protected by tenants in common to some extent by the co-ownership agreement and by the child arranging a will naming the parent as beneficiary for the amount of the guarantee.